Matt Zaz says, Welcome to his website & blog. He has been entertaining Children & Family's since he was a kid! True to say Zaz is one of the UK's favourite RedNosed entertainers! Birthday Party advice & tips. family fun films to watch, spot Zaz? Back in June the BBC news came along to see the show! 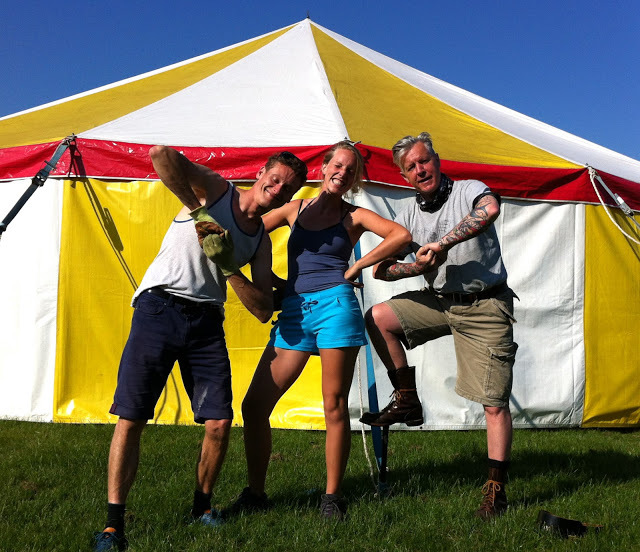 Our little Circus was pitched on Broadway village green in the beautiful Cotswalds. We joined the Friends of St Marys school PTA in making a school fete day for the children to remember! Our 3 circus shows helped fundraise for the school & despite the rainy weather the show went on! Click here for more info on booking a Circus Pazaz fundraising visit to your school or charity event. Summer is here! Circus Showtime! Thanks for a great 1st season with Circus PaZaz! Welcome to the Clown Zaz Website & Blog! Zaz & Friends present Circus Pazaz little circus with big fun!